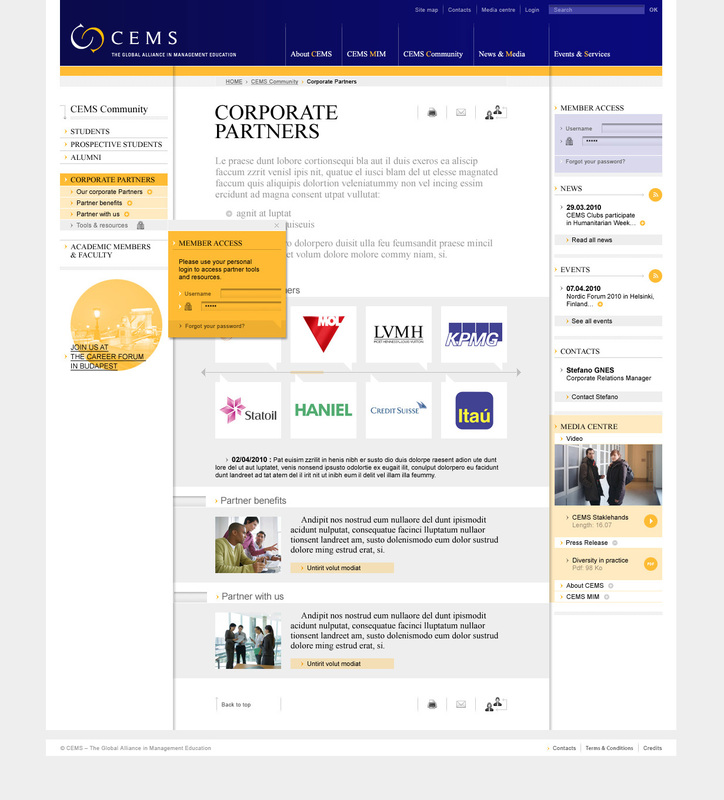 CEMS comprises 28 academic institutions from Europe, North & South America, Asia and Australia, over 70 corporate partners and 4 social partners from around the globe (Wikipedia). 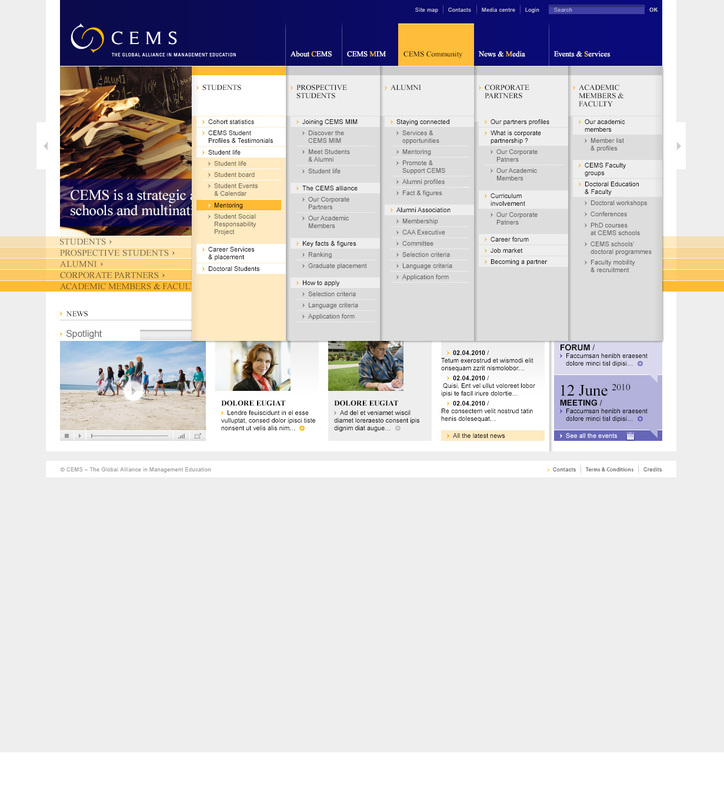 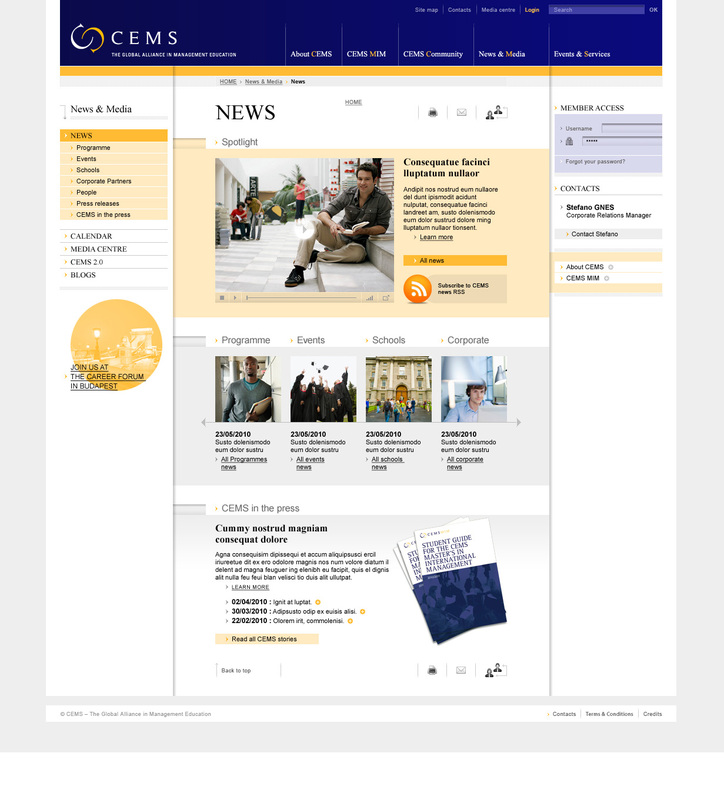 The 2010 redesign involved 24 complex templates, massive CSS/JS mega-menus and dropdowns, a video player, and a lot of pixel-to-pixel precise elements. 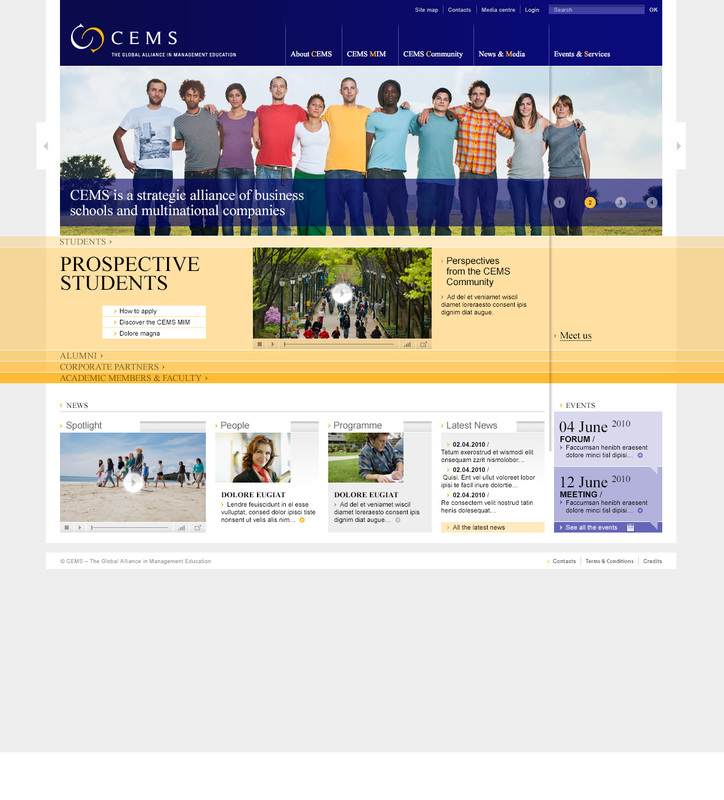 The markup was hand-coded neutral, since the CMS that would power the new version was unknown.